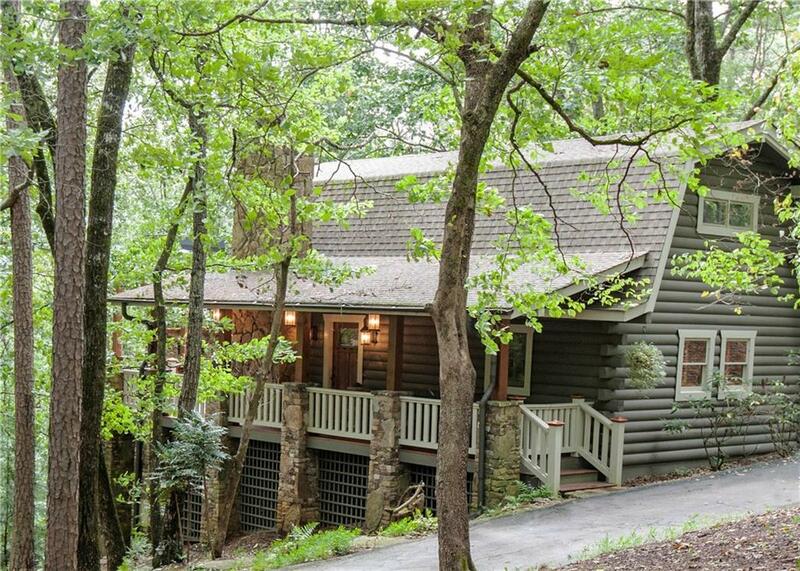 Nestled in the woods of Big Canoe, this one-of-a-kind, incredibly charming and rustic home is as close to heaven as you can get! 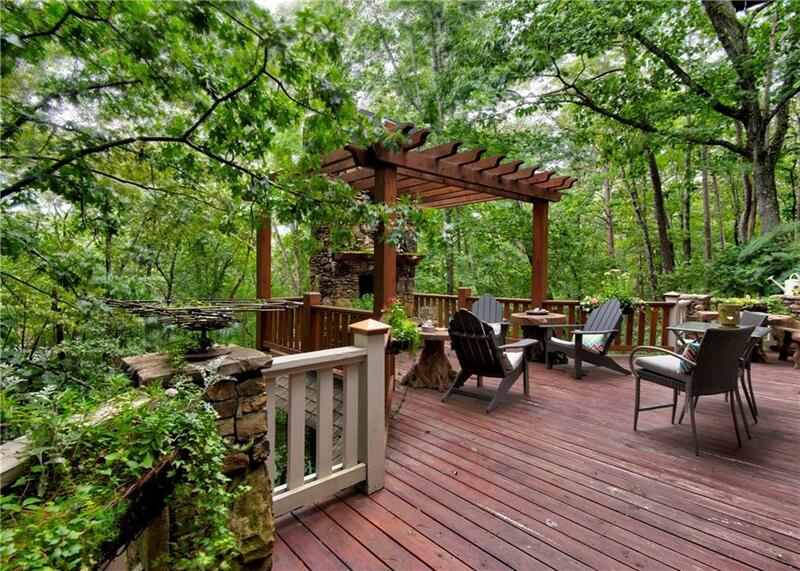 This 3 bedroom, 3 bath home is in immaculate condition. Each level has its own bed and updated bath suite. Upper level includes a loft for reading, TV, etc. 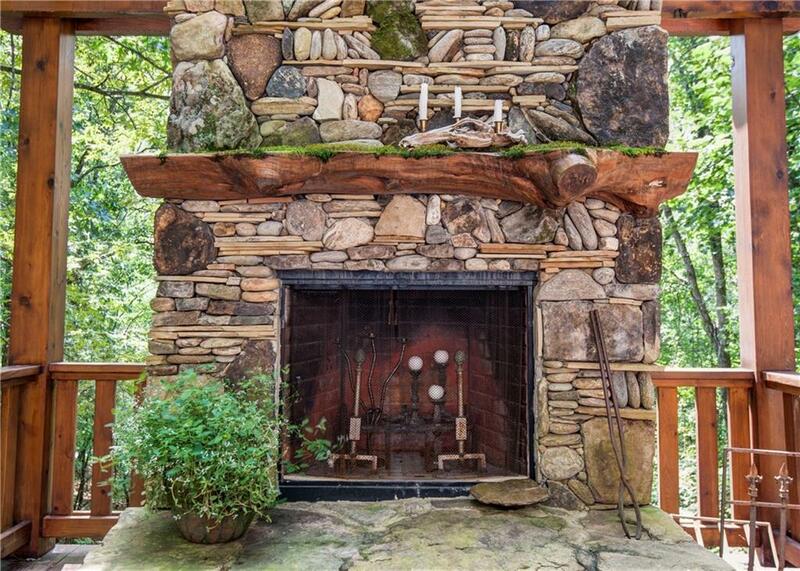 Main level offers window-filled dining room and den, plus a large stone fireplace. Lower level has a private entrance suite- perfect for guests. Many upgrades throughout. 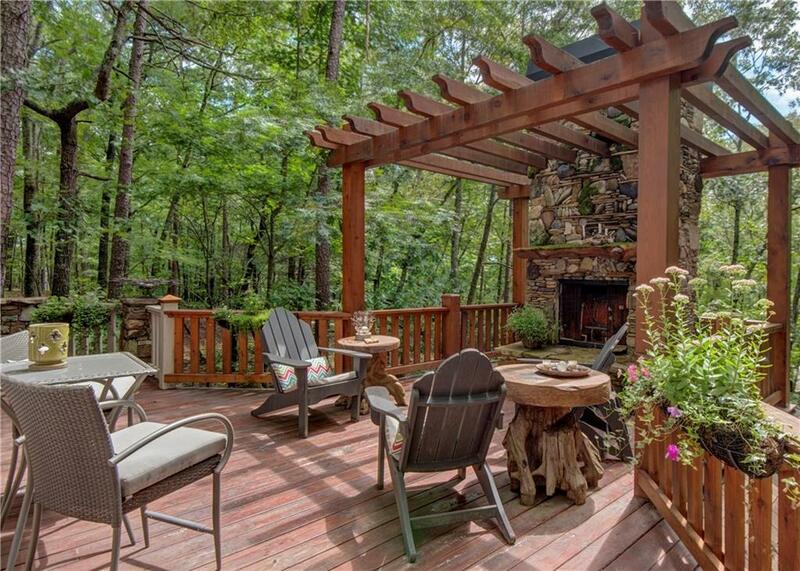 Outdoor entertaining areas include two outdoor fireplaces, screened and wraparound porches. Semi-circular driveway.